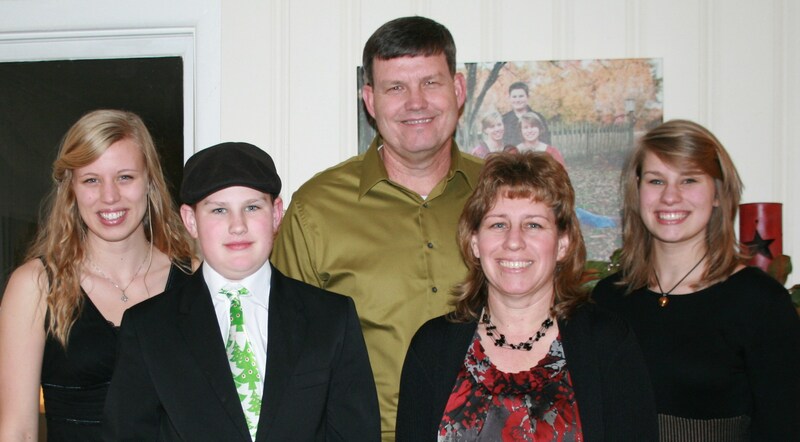 Caleb Harris is hosting a benefit concert at Clarendon Grill on Sunday June 23, 2013. Proceeds will benefit ThanksUSA— a non-partisan charitable effort to “thank” the men and women of the armed forces by providing need-based scholarships for their children and spouses (visit ThanksUSA.org for more information about ThanksUSA). Doors will open at 5:00PM and cover band Partners in Crime will go on at 6:15. Clarendon Grill is offering drink specials, including $2 domestic drafts & bottles from 5:00-7:00PM. 100% of the $10 door cover will go to ThanksUSA. Door cover will include one raffle ticket and prizes will be drawn throughout the night. Additional raffle tickets will be available for purchase. In addition to the concert, Caleb has partnered with the Washington Nationals to offer fundraiser tickets for the June 27th baseball game at Nationals Park against the Arizona Diamondbacks. 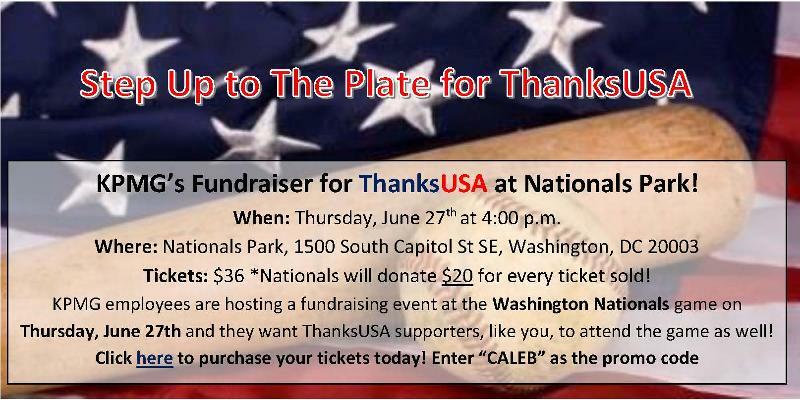 The Nationals have agreed to donate $20 to ThanksUSA for every ticket purchased on their website using promo code CALEB. Tickets can be purchase at http://nationals.com/tickets or click HERE to go directly to the ticket purchase page for the June 27th game. Donation can also be made directly to ThanksUSA using credit card or PayPal at: Donate to ThanksUSA. Please don’t change the “donation towards” field. It should be set to “KPMG USA” in order to pool all of our contributions. Our total fundraising effort will be recognized during a pre-game, on-field donation presentation ceremony on June 27th at Nationals Park. So purchase your ticket, make a donation, and then come out to Nationals Park to see the result of your efforts! As a Marine Corps dependent, Madison Frink has traveled the globe photographing her experiences along the way. The recipient of a $3,000 American Airlines/ThanksUSA Scholarship, Madison is combining her photographic talents and love for travel into a Technical Photography major with a Journalism minor. This week, the honors College freshman at Appalachian State University shares her inspiration and future plans to raise awareness for those in need. 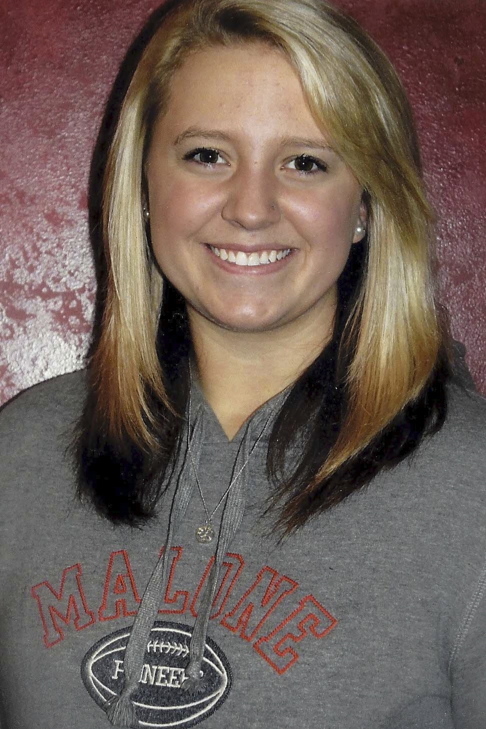 During high school, Madison realized that she loved working with people and developed a real desire to give back. At the same time, she knew that she wanted a career that involved travel. Thanks to supportive mentors and peers at Appalachian State, Madison has been able to refine her goals, combining her skills and talents into a major that will serve many. Of course being a professional photographer requires equipment and supplies…expenses that can be overwhelming for a college student. Fortunately, her ThanksUSA Scholarship has helped Madison with those added costs. She says, “A lot of added expenses come with these technical classes and the ThanksUSA scholarship has covered camera accessories, required camera equipment, and equipment insurance. Without the funds, I would not be able to take these courses required for my major!” I am happy to add that Madison is maintaining a perfect GPA. Besides her coursework, Madison is excited to be a member of the Appalachian State Campus Crusade where she plays keyboard for the worship team. Always looking for opportunities to help others, Madison recently traveled to Atlanta to welcome and minister to refugees from Nepal, Somalia, Iran, and other worn-torn countries. This May she will get the chance to do just that. 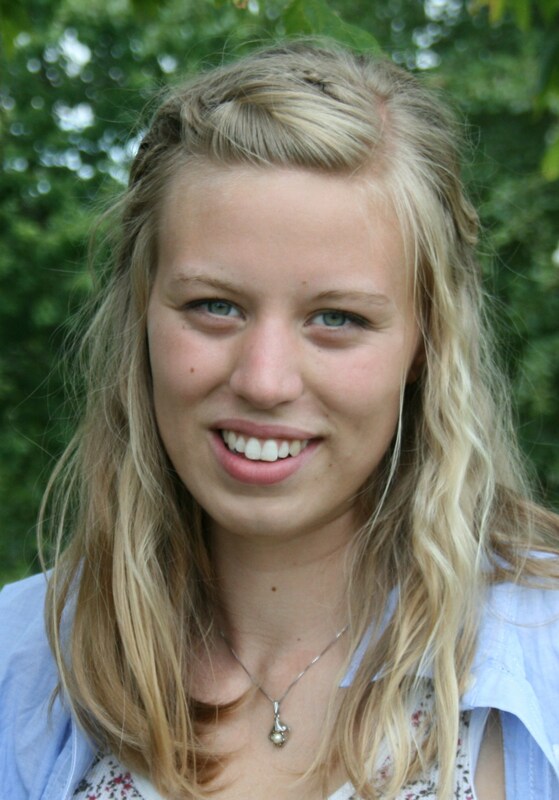 Madison will be one of about a dozen young women who will travel to Uganda for a study abroad program. While there, the Appalachian State students will help build a library and teach methods of sustainable development to the local women and children. Upon returning from her study abroad, Madison is planning to travel to Arlington, VA, to join ThanksUSA for our ProAm Tennis Tournament! We are so excited to have Madison’s help with ThanksUSA outreach and would like to remind all past and present ThanksUSA scholars that your involvement helps perpetuate our mission. If you are interested in volunteering with ThanksUSA, please leave a comment or contact us through the website.